(2) Fonda Piley, born 1948 in Burnet, Texas. His child Jeremiah Payton Pilley was born 1983 in Burnet, Texas. 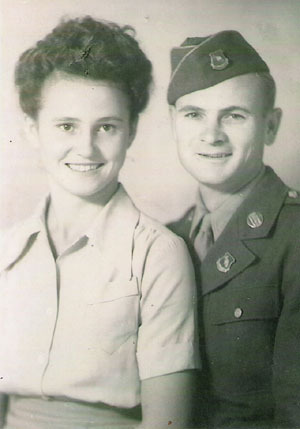 Etta Culpepper and F C Pilley are the parents of F C Pilley Jr., Male, born 23 Apr 1926 in Haskell Co., Texas. E-mail written 1998, 1999, 2004 to Lew Griffin from Margaret Overstreet Coffman, e-mail address. + Jewell Tolida Thomas, Died 15 Oct 1923, Infant daughter of K. H. and Pearl Thomas. + Pearl Davis (Pomeroy Thomas Culpepper) Coleman, 13 Mar 1896 – 6 Aug 1989. + Weyman Howell Pomeroy, 17 Jul 1915 – 6 Jan 1982 (beside Pearl Davis Pomeroy Thomas Culpepper Coleman). + Charlie Warren Culpepper, Jr., 11 Feb 1927 – 3 Jul 1994. Charlie W. Culpepper, Head, M, 58, M, md @ 21, GA/GA/GA, Sheriff of Toombs Co.
Marie C. Wright, Daughter, M, 24, M, md @ 18, GA/GA/GA. Charles W. Culpepper, d. 30 Jan 1940 at 68 years in Toombs Co., GA.
+ Charlie Warren Culpepper, 9 Jan 1872 – 30 Jan 1940. Pearl D. Coleman died 6 Aug 1989 at 93 years in Chatham Co., GA; Res. in Toombs Co., GA.
Charlie W. Culpepper, d. 3 Jul 1994 at 67 years in Toombs Co., GA; Res. in Toombs Co., GA.
Sarah E. Culpepper, d. 3 Feb 1936 in Toombs Co., GA.
Culpepper/Morgan/Posey Report, Christina Culpepper Mitchell to Arthur Knott Culpepper (to W. Lee Culpepper), circa 1975. E-mail written 2002 to Lew Griffin from John Dalton Merchant. Harrold R. Madison, Grandson, M, Wh, 5/12, sng, TX/TX/LA. Lula May Culpepper and R C Mattison are the parents of Hugh Mattison, Male, born __ 1932 in Archer Co., Texas.